To meet the educational and professional requirements needed to become a dentist, one must invest many years of schooling. While getting a dentist license is not an easy task, neither is keeping your license. Dentists—like others in the medical field—are held to strict standards. They have a duty to provide a reasonable standard of care to their patients at all times. When they neglect patients or provide car that does not meet standards, they can face dental malpractice. This can cause dentists to not only be punished by fines, but they can also lose their license. Unfortunately, complaints are common among Florida dentists. Between July 1, 2009 and June 30, 2010, the Florida Department of Health’s Division of Medical Quality Assurance received 952 complaints against dentists. Of those, 179 dentists were disciplined. A high number of these complaints were against unlicensed dentists, which is troubling. Unfortunately, those who are reprimanded can continue to practice in some cases. An Ocala dentist who was fined $47,000 and put on probation in 2012 is now facing two new complaints for misdiagnosis and improperly delegating tasks to employees who were not qualified or licensed to work on patients. This time, the dentist may have his license revoked. There are several main issues among dentists that often lead to disciplinary action. The biggest issue is poor standard of care. Many dentists fail to meet the minimum standard of care and are deemed negligent or incompetent. Specifically, this may occur when a cavity is not treated properly, a bridge or crown is not placed on a tooth correctly or a root canal is not filled in all the way. 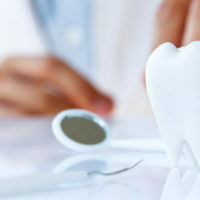 In some cases, dentists are accused of dental malpractice, which refers to at least three claims that paid out a minimum $25,000 settlement or judgment in the past five years. Another major issue is poor recordkeeping. Maintaining proper dental records is the law. Dentists must document patient allergies, treatment plans, dental histories, examination results and X-rays such as films. There must be written evidence justifying a patient’s current course of treatment. Improper delegation is another cause for concern. Like in the case of the Ocala dentist mentioned earlier, dentists are not allowed to delegate certain tasks to those who are unlicensed. Even a licensed dental assistant is not allowed to perform the same tasks as a dentist, but this a common occurrence. Dentists should take the time to understand what tasks they are solely responsible for, and which ones they can legally delegate to others to ensure proper patient care. Like doctors, dentists must abide by a standard of care. They must meet performance standards when it comes to diagnosis and treatment of oral health issues. When they cause needless suffering to patients due to negligence and substandard performance, they can face punishment from both ethical and criminal standpoints. If you are a dentist accused of an ethical issue, your license could be threatened. Your license is detrimental to the success of your career. Get legal representation from the Law Offices of David P. Rankin, P.A. 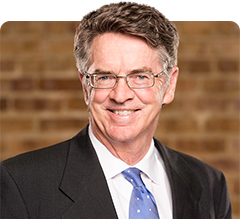 I am a Tampa administrative lawyer who focuses on licensing issues for dentists and other professionals. Contact my office today for a consultation by calling (813) 968-6633.